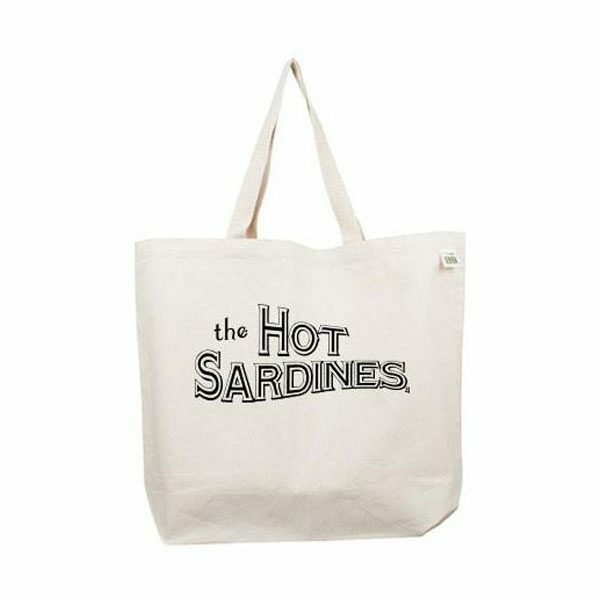 Recycled cotton tote from Eco Bags lets you show your Sardine love wherever you go! All seams and stress points are double stitched for durability. The cotton web handles allow you to comfortably carry the bag either over the shoulder or as a tote.